New goodies on our products list! 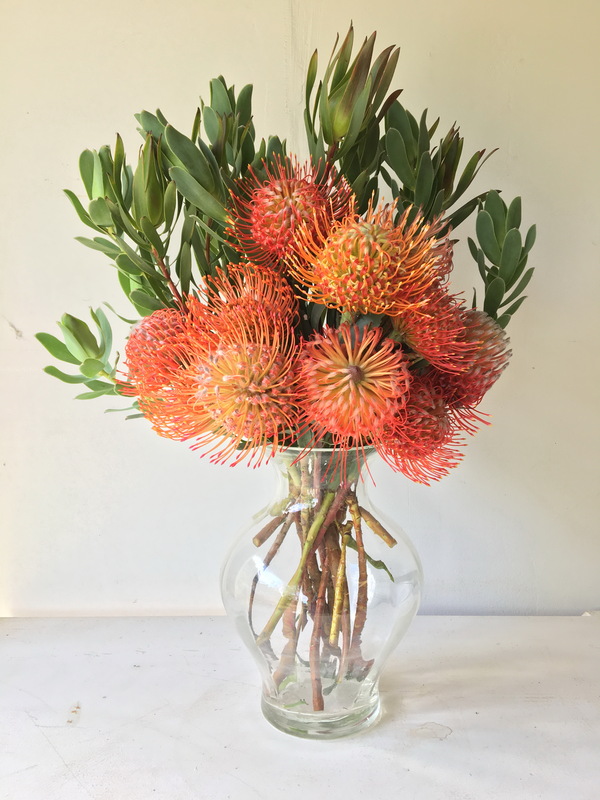 We’re happy to offer a couple of new floral gift options this month! 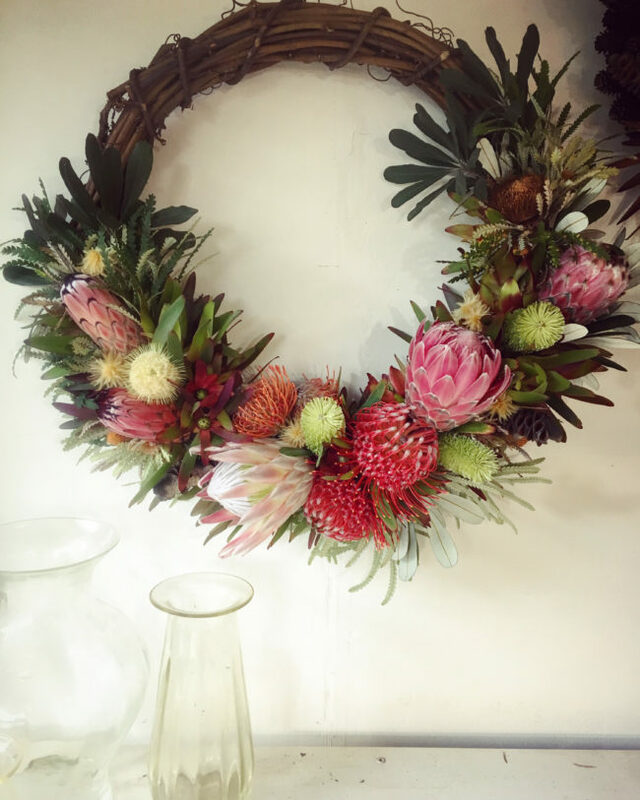 We’re now offering a partial wreath that features a wide variety of seasonal protea blooms and foliage. This wreath was extremely popular with our social media following so we decided to make it an available product. We’re also now offering a sweet, smaller gift option called ‘The One’. 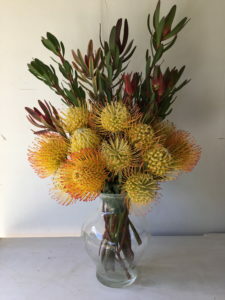 This gift features just one of our highly coveted mink protea and a collection of choice pincushion blooms, surrounded by our most unique foliage. We’re offering a $5 discount to everyone who purchases a gift in the next two weeks, starting NOW! Discount has been applied to all gifts on the site so all you need to do is add to your cart and you’ll be discounted $5 for each item at checkout. 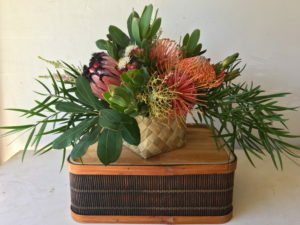 Protea make a fabulous Valentine’s gift that your Ku-‘uipo (Sweetheart) will never expect! Happy shopping – sale ends February 10th! As we start this New Year we are excited about some changes happening on the farm, we will update you as things progress. We are grateful for all your support throughout these years and hope all your dreams come true! Happy New Year for all of us!!! Wishing the Happiest of Holidays to all! From our family to yours enjoy this Holiday season! Hot new item! Hawaiian style Snowman live-forever wreath! Just added to our product list, this charming Hawaiian style snowman takes center stage in our highly limited dried protea wreath. Snowman is handmade here on the farm, completed with ti leaf lei. 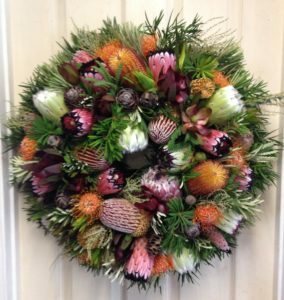 All protea used in the wreath are dried prior to assembly and will hold their shape for many seasons to come. We’ve only created a very select number of these snowmen wreaths so order yours quick before they’re gone for the season! We’re excited to introduce a couple of new gift options – we thought you might like to say a warm Thank you! or a sweet Welcome to town! 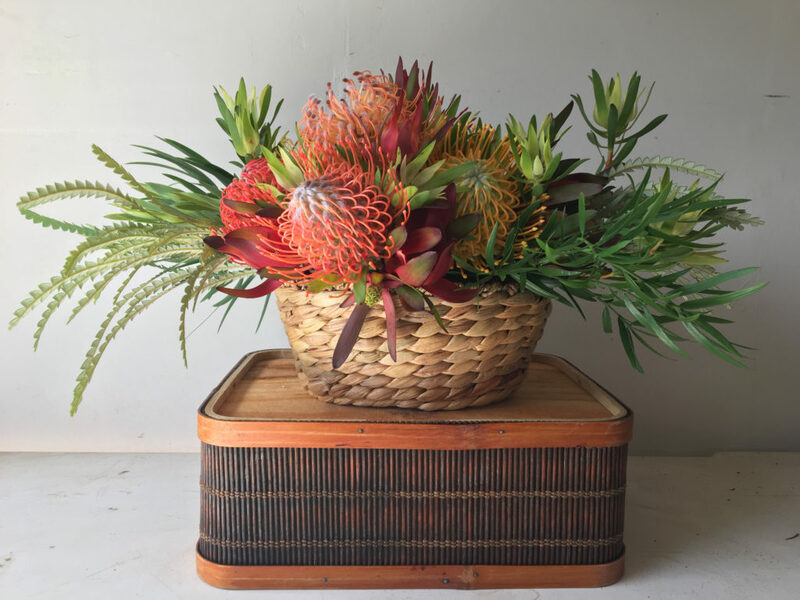 or just send some color to a loved one with a burst of Hawaiian Sunset oranges, reds, and yellows. We’re happy to accommodate any special requests you may have so don’t hesitate to send us an email or give us a call to sort out details. We wish everyone the very best for this Thanksgiving Day! We will have more flowers available the following week November 26.